Not many sporting events can offer the top 100 athletes and playoff atmosphere right in your own backyard. Fortunately for New England golf fans, the Deutsche Bank Championship gives you just that, right here in Norton, Massachusetts. This weekend at TPC Boston, just off I-495, the Deutsche Bank Championship is serving as the second round of the FedEx Cup playoffs. This is not just any PGA Tour event, and the Boston-area is fortunate to have been the host of this event since 2003. In 2007, when the PGA Tour began the season-long race for the FedEx Cup, the Deutsche Bank Championship became one of four events designated as a playoff. And with this change, the tournament morphed into an even more internationally covered event. All eyes in the golf world are now on Norton, meaning increased attention for tourism, and a boost for the local economy around the I-495 corridor. As for tourism, according to a 2014 study, the economic impact from golf-related hospitality and tourism in Massachusetts during 2012 was estimated at $366.7 million. As millions watch the Deutsche Bank Championship worldwide, the tournament puts Massachusetts golf tourism in the spotlight. With resorts from the Berkshires to Cape Cod, the Commonwealth is home to 376 golf courses. In terms of other economic impact, the Deutsche Bank Championship attracts thousands of spectators and media members to the region, benefiting nearby hotels and restaurants, as well as additional local and state tax revenue. 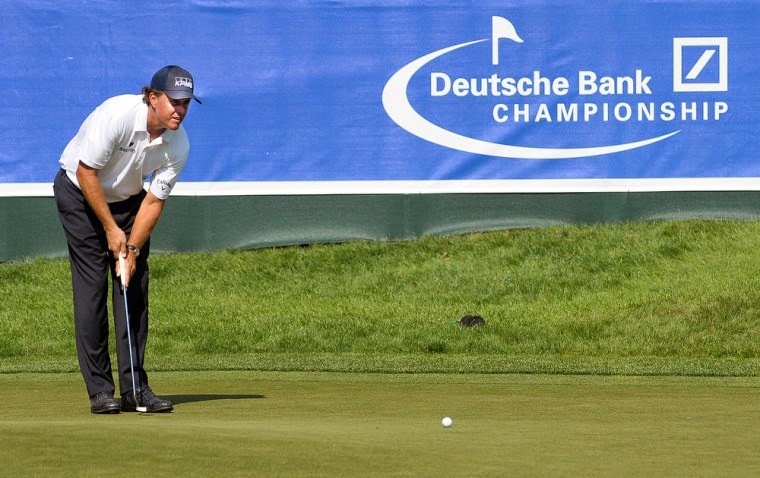 The Deutsche Bank Championship is an invaluable asset to the region. From creating state-wide exposure for tourism, to generating economic impact along the I-495 corridor, the Deutsche Bank Championship continues to be one of New England's premier sporting events.